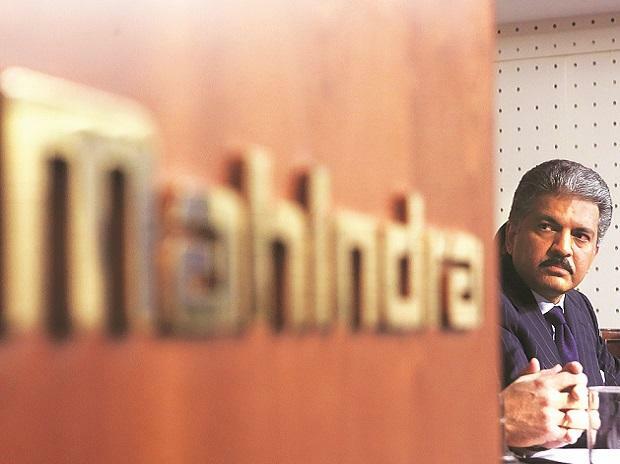 At Mahindra & Mahindra’s 70th annual general meeting in 2016, Chairman Anand Mahindra ended his speech saying if there was anyone “preparing feverishly for a disruptive future of mobility”, it was his group. A year since, the auto industry has been beseeched with warnings about an operating environment about to alter forever. When auto heavyweights sniggered at Road Transport Minister Nitin Gadkari’s notice to “bulldoze” petrol and diesel cars to achieve 100 per cent electric mobility by 2030, Mahindra bemoaned in an interview with NDTV: “For too many years, we as a country have suffered from a poverty of aspiration,” reminding those mocking the dramatic electric mobility targets that it took barely 10 years for an entire ecosystem of horse carriages to vanish at the dawn of the 20th century. E-mobility is only one among the several fronts on which Mahindra is waging this battle of aspirations, to future-proof the $19-billion tractor-to-technology conglomerate. The flagship auto firm is in the throes of a mobility, artificial intelligence (AI) and big data-led digital transformation, disrupting the organisation across its value chain. From a product standpoint, the auto business now increasingly rests around three key focus areas — electric cars, shared mobility and autonomous vehicles — which are convergent trends that will drive the industry’s future. Over the past three years, apart from expanding research and development, M&M has strategically responded to these trends through collaborations. Bets were placed on the sharing economy through investments in start-up marketplace platforms — Smart Shift for trucks and Trringo for tractors. In September, M&M unveiled its much-awaited driverless concept for tractors, developed at Mahindra Research Valley in Chennai, where 1,500 in-house engineers work to drive technology-driven R&D. Mahindra believes agriculture is the “most fertile ground” for autonomous vehicles, even as most global carmakers place their bets squarely on passenger cars — a pipe dream in the Indian context. But responding to the future involves more than peering past the combustion engine. “Our manufacturing capabilities today are driven largely out of the Industry 4.0 framework,” says Rahul Shandilya, the group’s chief information officer, over coffee at Mahindra’s Kandivali plant. Big data has been playing a growing role over the past three years; from customer analytics platform Heartbeat, to a pilot on a voice analytics tool to capture the intensity of a customer’s voice to identify purchase inclination, the automaker is leveraging the power of data extensively. Last year, it also institutionalised an information insight centre, staffed with data scientists and process analysts, to leverage structured data as a business tool. “Internally, we hope to skill 300-400 of our employees to have analytics as their secondary skill,” says Shandilya. Adopting these new tools has a direct bearing on how its product portfolio evolves. For instance, an automated manufacturing stack, Drona, built to improve traceability of parts on the assembly line, will help M&M ramp up its ability to personalise vehicles and deliver made-to-order products. As a group, M&M has always described itself as a federation rather than a top-down, command-control conglomerate. This, many say, has made it easier for the group to remain nimble and respond to the tectonic shifts in the market. Tasked with strategising the 71-year-old corporation’s digital transformation is a tiny team of 15-20 people. They’ve been working to give it a direction to face the tsunami of disruptions across businesses — from blockchains (to modify supply chain financing at Mahindra Finance) to data analytics (for better targeting of marketing spends at Mahindra Holidays). Brought in three years ago from GE Capital, Shah is leading M&M’s makeover, along with a set of new hires who have worked at companies such as Google and Microsoft. Shah calls the transformation philosophy driving the flagship auto business an ‘optionality play’. “We look at the different scenarios that could play out and assess if we can win in each.” The numerous plays, he admits, are a bit of a hedging strategy against failure. For a corporation increasingly functioning like a start-up, missteps are bound to happen. But as Mahindra’s trials gather scale, its tie-ups could also result in strategic investments or acquisition opportunities, helping the brand surge. The approach conceivably illustrates what Chairman Mahindra meant when he once said that large corporations such as his had become the new “garages” for innovators.